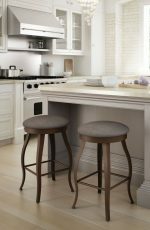 Bar stools with Cabriole legs tend to have a bulging flare to them. 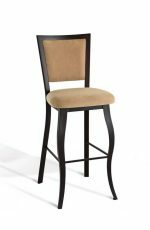 Legs are sleek and curved with a character all of its own. It goes well with a French Country or even a Traditional theme. 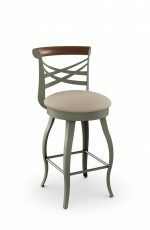 The Cabriole leg enhances the design of the stool to give it an ornate, eye-catching look that will give any kitchen that “pop” for a unique French Country feel. 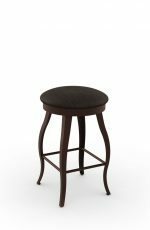 This style leg also pairs well with the Victorian Era style room. Upholstered seat covers tend to have faded fabric patterns and solid earth tone colors. Vinyls and leathers work well too and can easily be wiped down with a damp cloth. All Cabriole legs come with nylon caps on the feet to protect floors. For wood and Linoleum floors, simply apply a felt tip.